Our outdoor kitchens grace some of the most stylish homes in Australia, with add on products, such as modules with sinks, fridges, range hoods and cabinetry. We pride ourselves on supplying value for money products that enhance our customers' lives in the great outdoors, whether it be home on the patio or camping in the Aussie bush. We also distribute a wide range of BBQ cooking accessories and replacement parts. Our products are available through retailers nationally. Search the find a stockist pages for your nearest retailer. 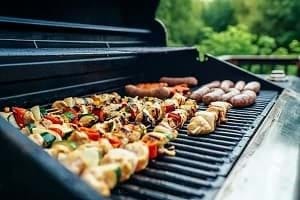 March 2019 - Australian’s love the outdoors and when it comes to spending quality time at home, enjoying a delicious BBQ with family or friends is just about as good as it gets. Here's how to create the perfect BBQ area. March 2019 - Here are some Gasmate food safety tips. 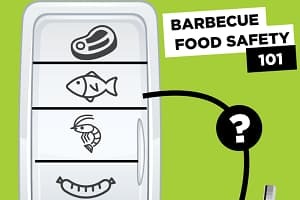 The four key things to ensure the safety of the food you serve up from the barbecue; fridge storage position, cooking temperatures, cross-contamination and storage time. 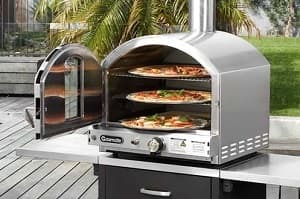 February 2019 - We are so pleased to advise that the Gasmate Pizza Ovens are now back in stock. The Deluxe Stainless Steel and Vitreous Enamel Gasmate Pizza Ovens make the perfect addition to any outdoor kitchen.